"Some players control games, some are capable of outstanding pieces of skill, while others impose themselves through sheer physical strength. 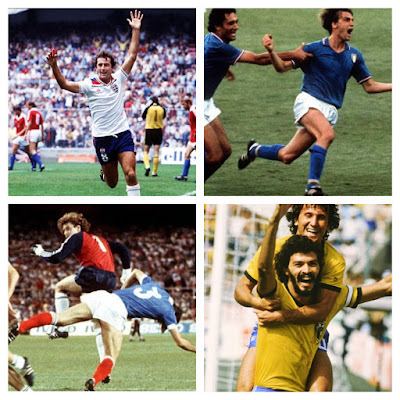 Paolo Rossi didn't fit into any of these categories. He was quite simply a born goalscorer. 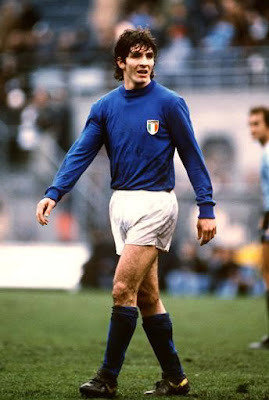 At the 1978 FIFA World Cup Argentina and even more so at Spain 1982, the Italian allied economy of movement, perfect positioning and innate opportunism to become one of the finest strikers on planet football." "The player's halcyon days at Kiev and, in particular, Milan - spells that wrote Shevchenko's name not only into the record books but also the hearts of supporters the world over. A record of 60 goals in 117 Dynamo appearances - including a Champions League hat-trick against Barcelona in 1997 - earned Shevchenko a host of Ukrainian league title medals and a then record $25m move to AC Milan in 2002, where he went on to score 127 goals in 208 appearances. In 2003 he scored the penalty against Juventus that won Milan the Champions League and in 2004 he was awarded the prestigious Ballon D'Or award." "He was my hero, the number of goals he scored, the movement, I liked everything about him. I watched him on the television a lot, of course. I learned everything. When he first arrived in Italy I used to collect Shevchenko stickers. But when he came back to Italy later in his career [on loan at Milan] I had the chance to play against him. It was the last game of the season, we had the chance to talk and we exchanged shirts. I still have the shirt at my house." CLUB HONOURS: 2x Football League First Division, 2x FA Cup, 1x Football League Cup, 3x FA Charity Shield. "At his scintillating best in the late 1980's, there was no finer sight in football than that of John Barnes gliding down the left flank in a Liverpool shirt. One of the most exciting wingers of all-time, Barnes enthralled the Anfield crowd and ensured 'full-house' signs became a permanent fixture outside the Kop gates during one of the most entertaining era's in this club's history. An awesome blend of poise, pace, strength and skill, when the Jamaican-born wide-man was in full flow he was quite simply a joy to watch and those privileged to have saw his sublime talent at close hand will forever cherish the memories." "You've got to hold and give....but do it at the right time." "As one of the most skilful players of his generation, Romania's Gheorghe Hagi earned the nickname 'Maradona of the Carpathians' with worthy comparisons to the great Argentinean to be found both in playing style and temperament. Undoubtedly the finest player to have emerged from his country, Hagi's remarkable 16-year international career consisted of appearances at three World Cups, while his domestic exploits took in the sights of top European clubs Barcelona, Real Madrid and Galatasaray. His creative brilliance was first spotted in his homeland while he was still a teenager and he eventually made the move to Romania's top club at the time, Steaua Bucharest, in 1987. By then, he had already been on the international radar for some time and had announced his arrival on the scene as a 19-year-old with a debut goal against Northern Ireland in 1984 and, although Romania would not qualify for the 1986 World Cup in Mexico, by the time Italia '90 rolled around, Hagi was beginning to reach his peak." CLUB HONOURS: 11x Premier League, 3x FA Cup, 2x League Cup, 5x FA Community Shield, 2x UEFA Champions League, 2x FIFA World Club Cup. 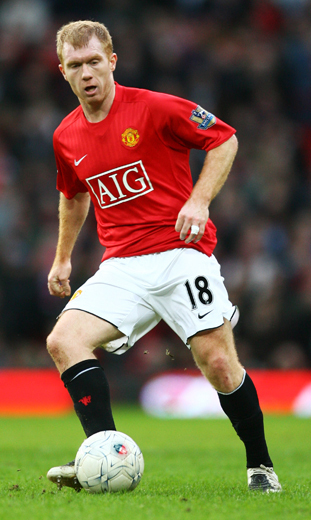 "In the last 15 to 20 years the best central midfielder that I have seen — the most complete — is Scholes. I have spoken with Xabi Alonso about this many times. Scholes is a spectacular player who has everything. He can play the final pass, he can score, he is strong, he never gets knocked off the ball and he doesn’t give possession away. 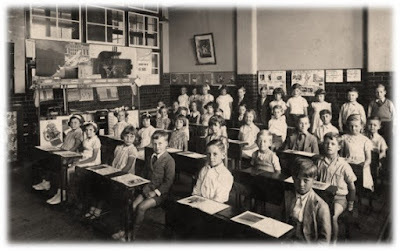 If he had been Spanish then maybe he would have been valued more." 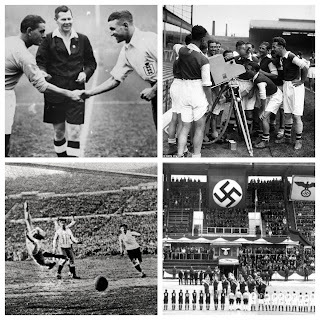 When Bayern Munich destroyed Barcelona over two legs, scoring seven goals without reply, the whole world stepped back in a combination of fright and amazement. Jupp Heynckes had created an unstoppable machine that went on to achieve the unprecedented feat of winning all four trophies on offer. Something the Bayern squad was praised for was the fact that they didn’t have one key man who the team were overly reliant on; they were a complete package. That being said, one unmistakably key component to Bayern’s success last season was Bastian Schweinsteiger. The German central midfielder kept Bayern ticking over, winning the ball and recycling it back towards the opposition’s goal. Schweinsteiger is undoubtedly one of the best midfielders in world football." INTERNATIONAL HONOURS: 1x UEFA European Under-21 Football Championship, 1x FIFA World Cup. “'That lad must have been born offside.' If you don’t know who said this quote then you probably shouldn’t continue reading. Because whenever Inzaghi’s name pops up, English pundits or commentators never fail to remind us of what they think is an incredibly witty saying. Or at least they used to. 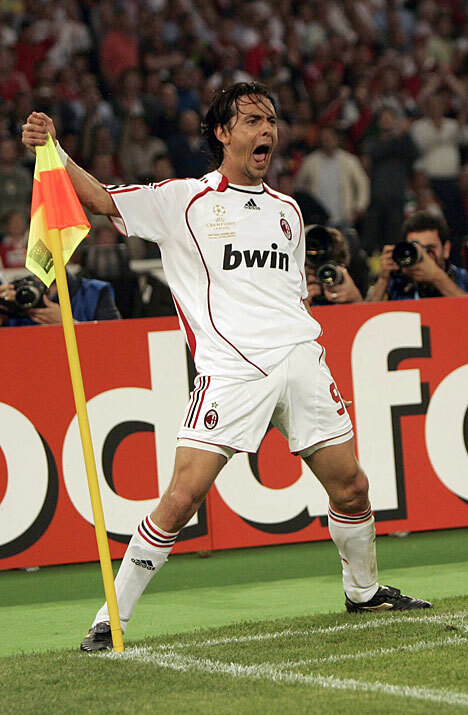 In the past, Inzaghi was viewed as the stereotype Italian footballer. Diver, cheater, cunning, and obviously just lucky to score simple tap ins. Now Inzaghi is known and respected by almost everyone. Acknowledged as one of the best goalscorers in history, a master of positioning, a symbol of passion, and an ageless football legend that has won – and scored – (in) every tournament in the game." 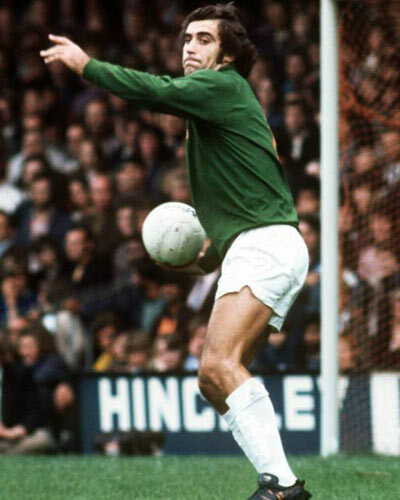 "Peter Shilton amassed a record 125 caps for England and two European Cup winners' medals with Nottingham Forest. His international career lasted twenty years between 1970 and 1990; only Sir Stanley Matthews in the modern era enjoyed greater longevity. In his first season [at Forest] Shilton only conceded 24 goals in 42 games, including 25 clean sheets. 'We had a firm belief that if we scored, there was no way we would lose because they wouldn't score against our defence!'" "Despite having to be a substitute for Peruvian forward Hugo ‘Cholo’ Sotil, who was very popular with the fans, Neeskens soon won over the crowd with his midfield performances. Neekens was a classic player who had an impressive physique combined with absolute commitment. Famous for his impetuous headers and his penalty kicks; regarded as authentic canons. His devotion was appreciated by the crowd, which made their thoughts clear on many occasions by shouting “Neeskens, Neeskens”, which was heard even after he had left the club."